Kirkbean Parish Curchyard is in the centre of Kirkbean village just off the Carsethorn road at the junction with the A710. Additional Information: Son of Henry and Elizabeth Crawford, of Carrickbawn, Torquay Rd., Foxrock, Dublin. 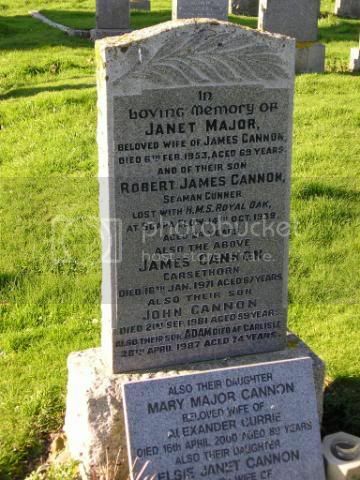 Born at Killorgan, Co. Dublin. 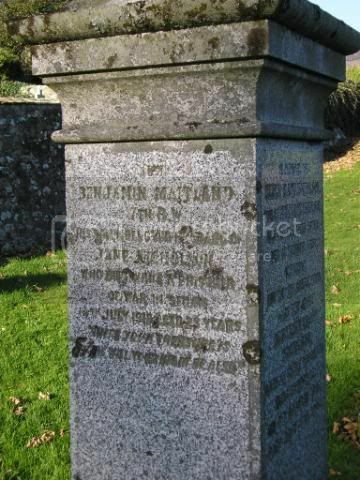 Lt. Crawford is another victim of the sinking of the RMS Leinster. The following is from the Dumfries and Galloway Standard. 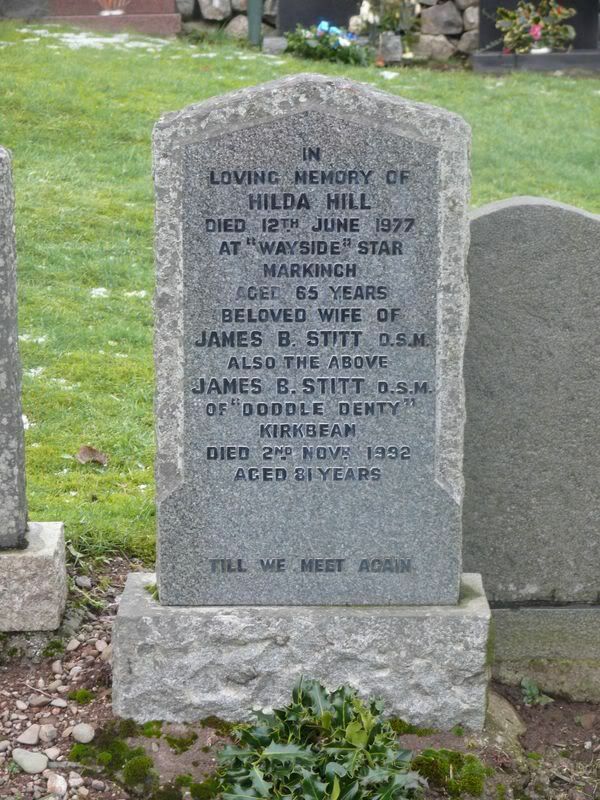 He was returning from visiting his seriously ill sister accompanied by another sister, Lititia Hill, whose body was never found. 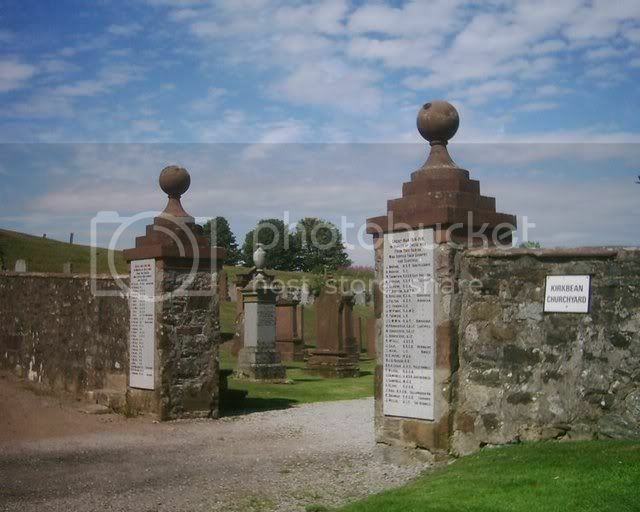 Additional Information: Son of David and Agnes Reid, of Carsethorn, Kirkbean, Dumfries, Scotland. Pt. Reid died of wounds at King George Hospital, London. 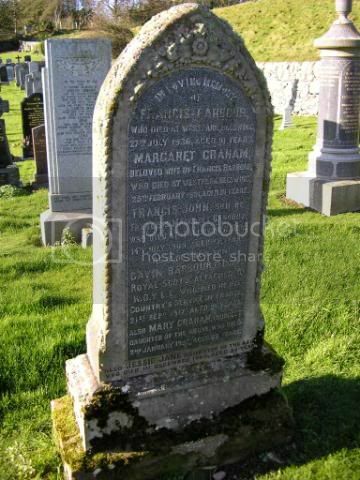 Additional Information: Son of David and Jeannie Macadam Wilson, of Victoria Terrace, Carsethorn, Kirkbean. Pt. 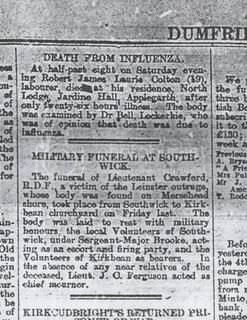 Wilson died at home in Carsethorne of Tuberculosis. 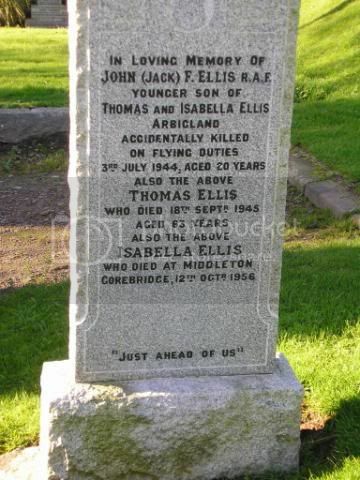 Additional Information: Son of Thomas and Isabel P. Ellis of Kirkbean. Grave/Memorial Reference: Sec 1. Grave 151. 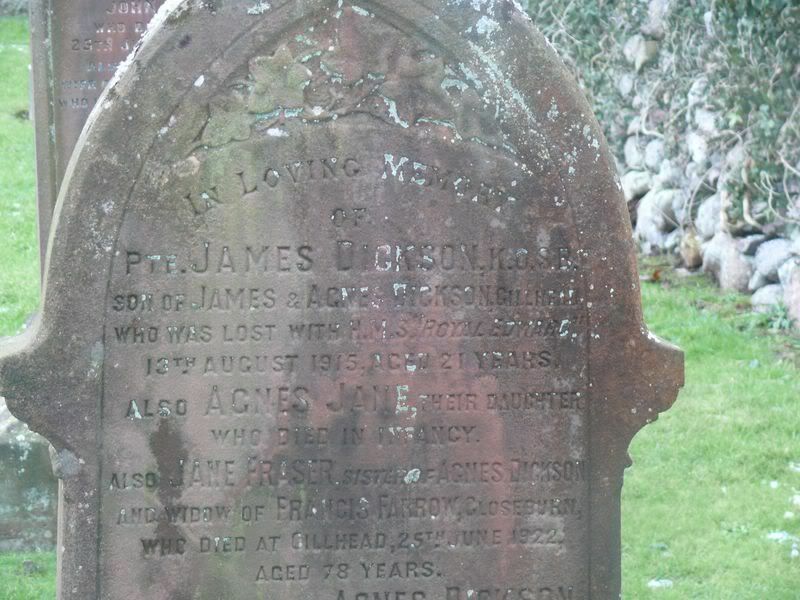 Jack's Anson aircraft, from No.3 Air Gunnery School at Castle Kennedy, crashed near Knockneen Farm, Kirkcolm, Wigtownshire. The crew of three and three cadets, including Jack, were killed. 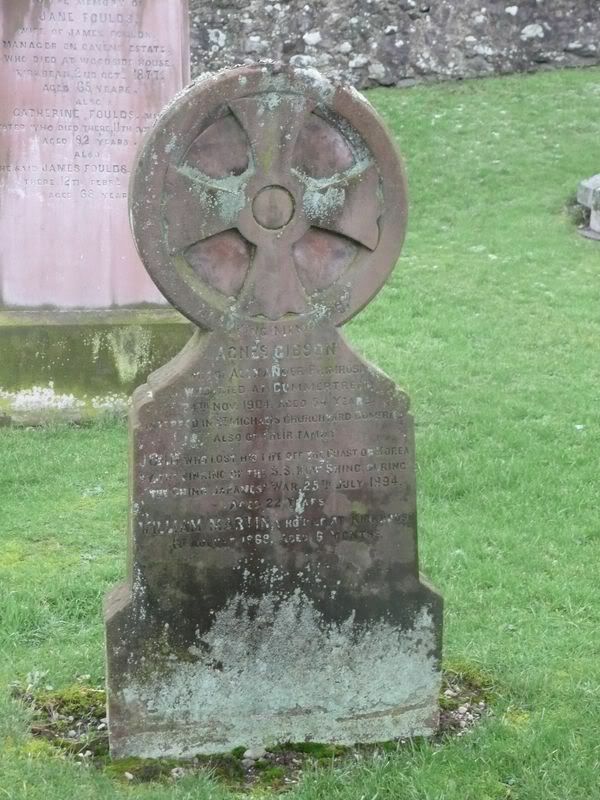 Additional Information: Son of Margaret Barbour, of Beeswing, West Park, Dumfries. Grave/Memorial Reference: XXIV. H. 6. 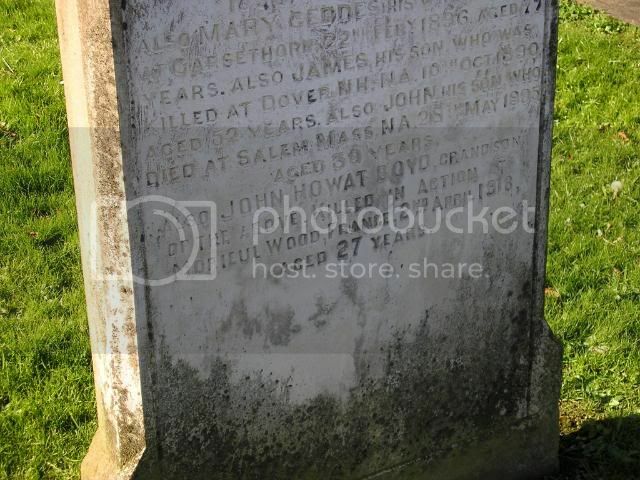 Additional Information: Husband of A. H. Boyd, of 5, Albert Road. Kensington, Liverpool. 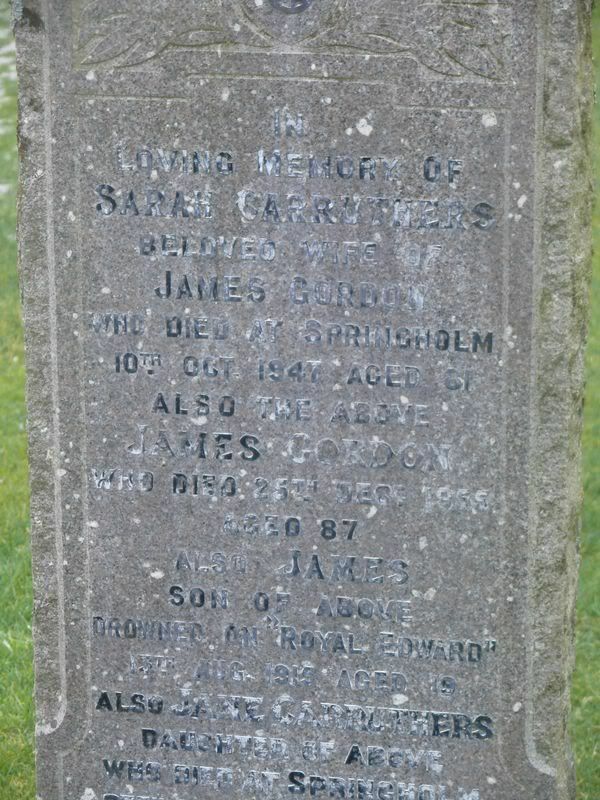 Additional Information: Son of James and Janet Cannon, of Kirkbean, Dumfries-shire. Grave/Memorial Reference: Panel 33, Column 2. Additional Information: Husband of Jean Nicholson (nee Carswell), of 36, Dalblair Rd. Ayr. 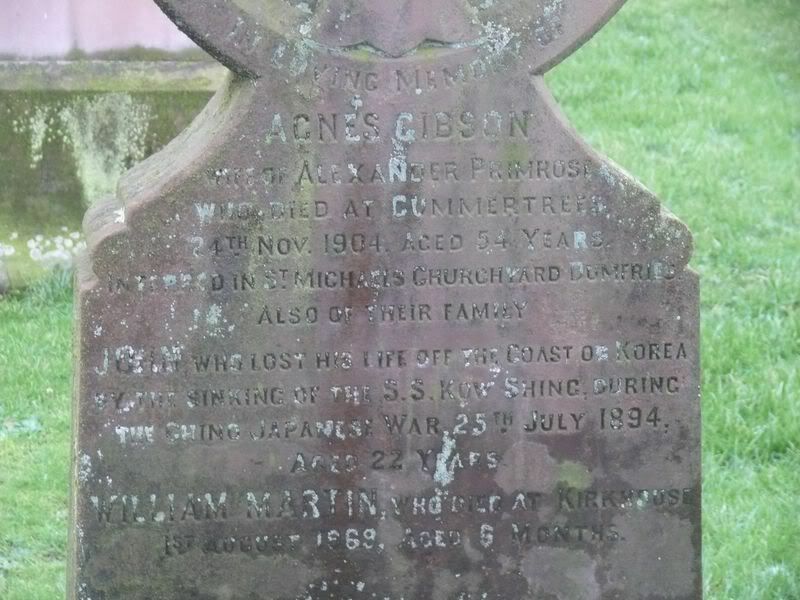 The inscription is not very clear; and is one of those where you need to read the main panel to get the surname. Pt. 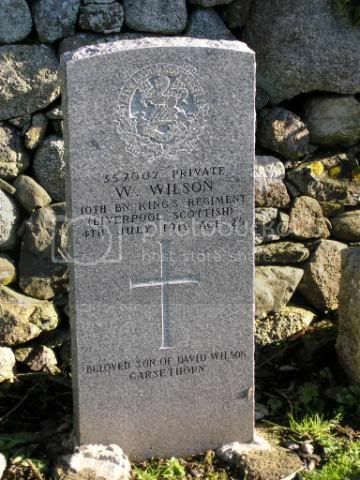 Nicholson "who died while a prisoner of war in Sedan"
Ben was educated at Ayr and enlisted in May 1916. 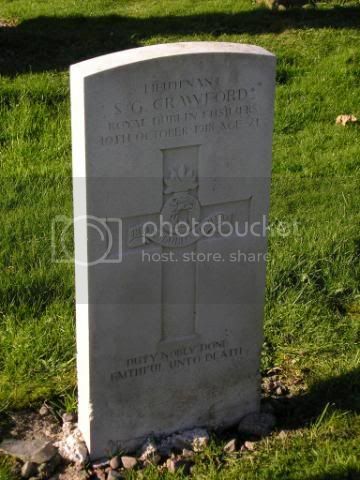 He was taken prisoner in March 1918 and died of dysentery in the Kriegslazerette at Asfeld, Sedan, France. 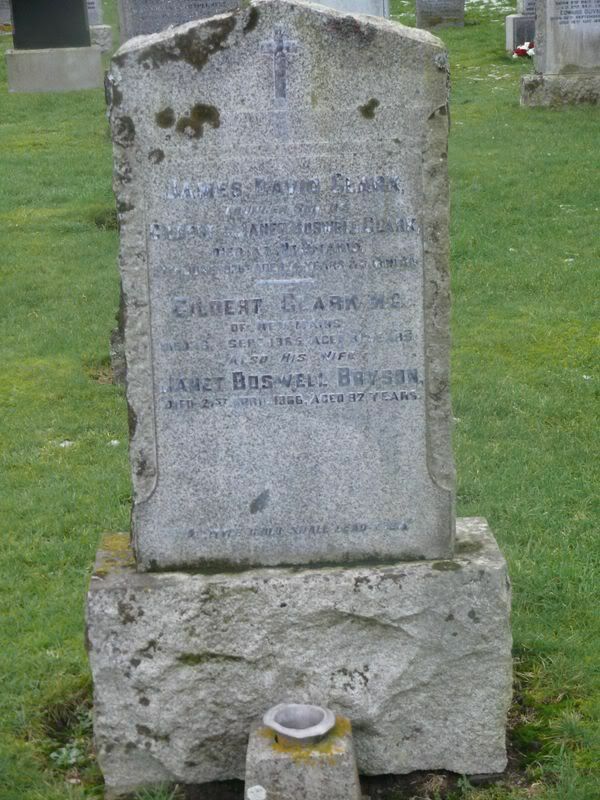 Born 1894 at Dalbeattie. 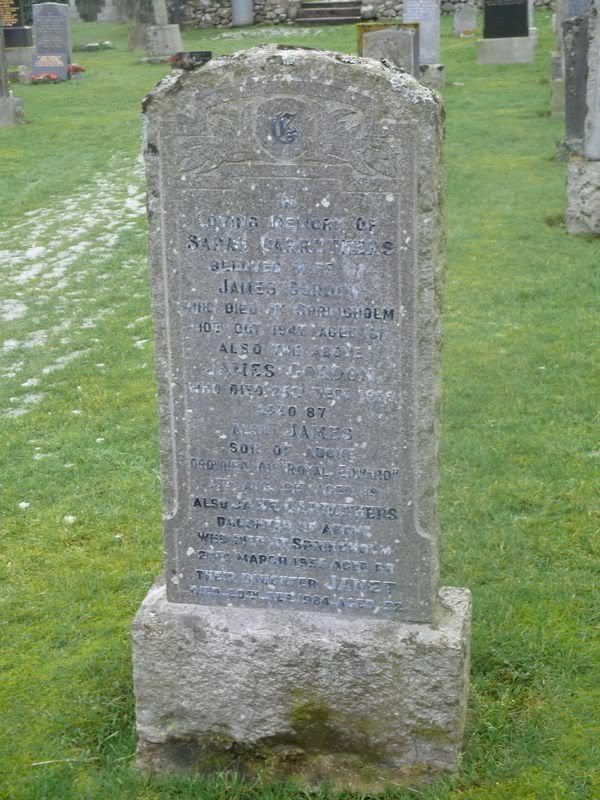 Son of Benjamin Moody Nicholson (Factor at the Cavens Estate, Kirkbean) and of his second wife Elizabeth (Hyslop) Nicholson. Husband of Jean Ivyoll Fairbairn (Carswell) Nicholson of Ayr who he married in 1917 at Ayr. 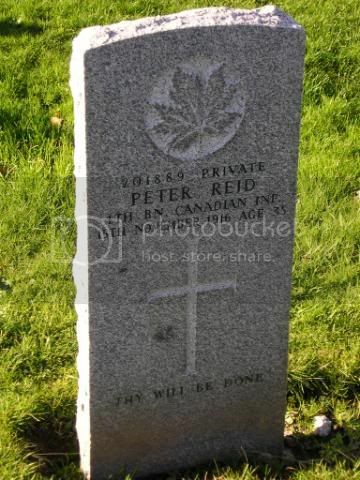 Died on Service on 14 July 1918 and buried in Sedan (St. Charles) Communal Cemetery, Ardennes, France. 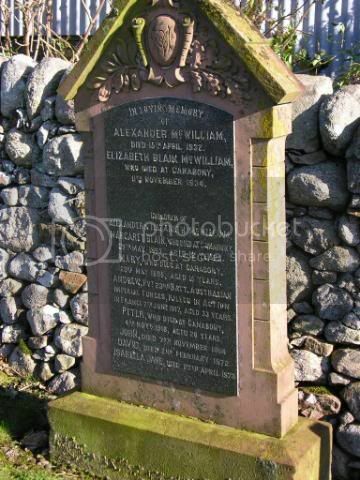 Named on the Ayr War Memorial and on the Ayr Auld Kirk Memorial. 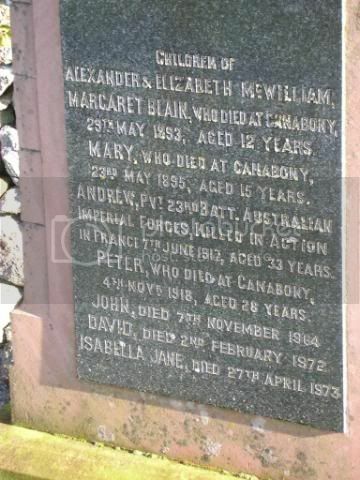 Additional Information: Son of Alexander and Elizabeth McWilliam, of "Canabony", Kirkbean, Dumfries, Scotland. The inscription shows the 23rd Battalion but it was the 33rd. 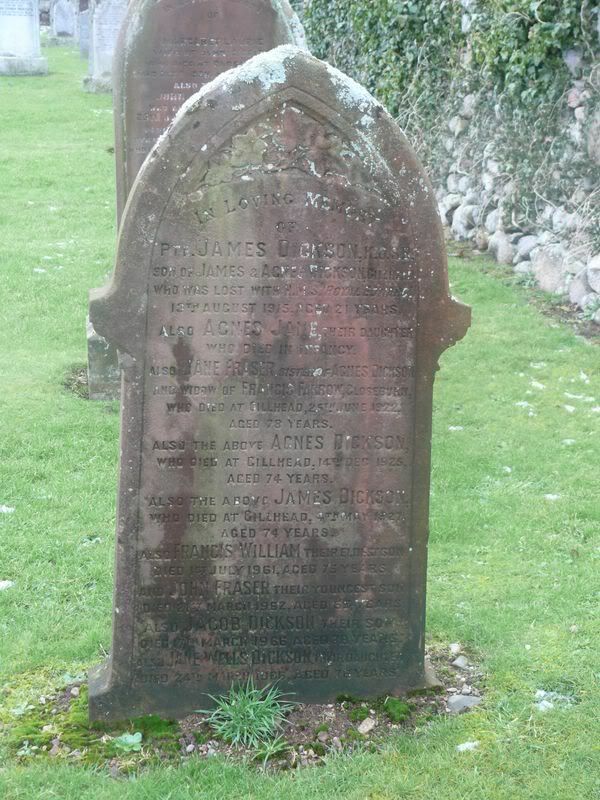 Additional information: Son of James and Sarah Gordon, of Kirkbean, Dumfries.